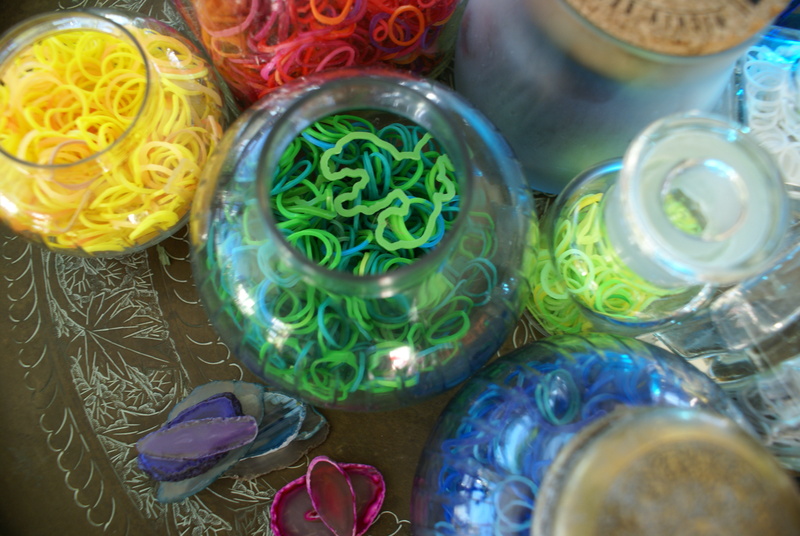 This little Rainbow Loom establishment has taken off in our nest. It first started sans the loom working with just the digits. 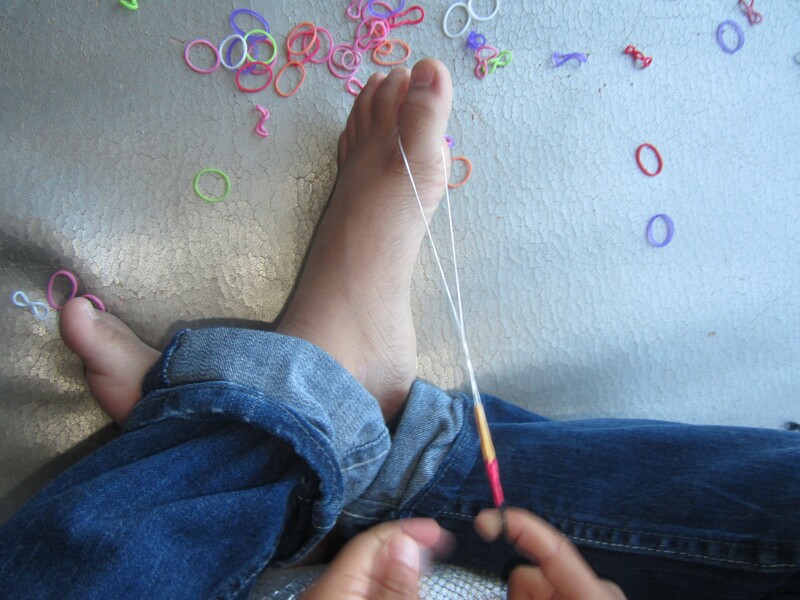 One day my little ones discovered tutorials on youtube and instantly the loom came into play. 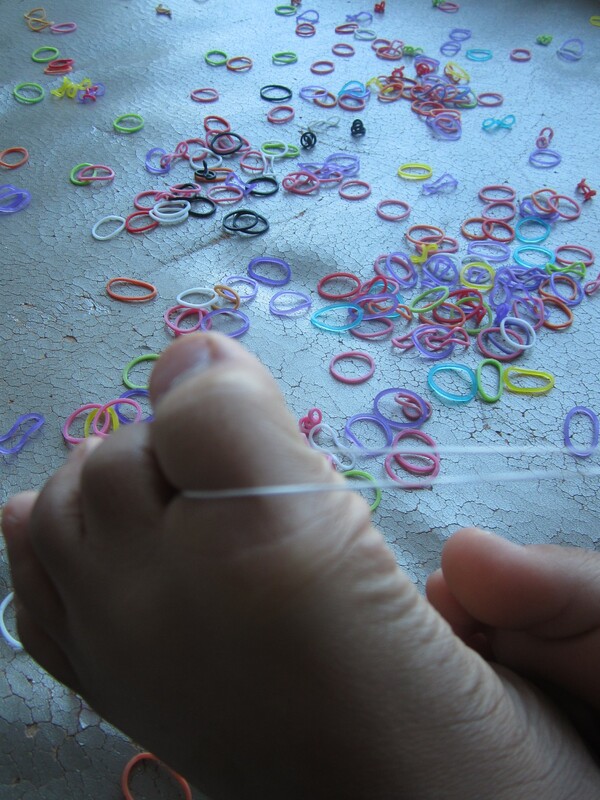 We ran out of rubber bands quickly thereafter and started disassembling the accessories and re-using the bands for new projects we infectiously discovered (thanks to the global access of knowledge online.) Then the package arrived. A large rectangular wrapped present almost the height of my six-year-old, Crazy Loom, entered our little nest…a welcomed splash of color. 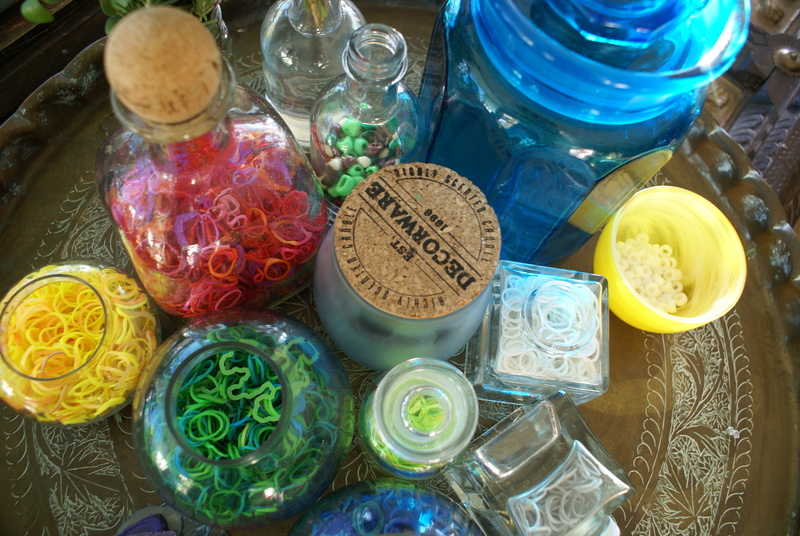 The wide-eyed thrill of the many colors and even beads…our accessory possibilities were endless! 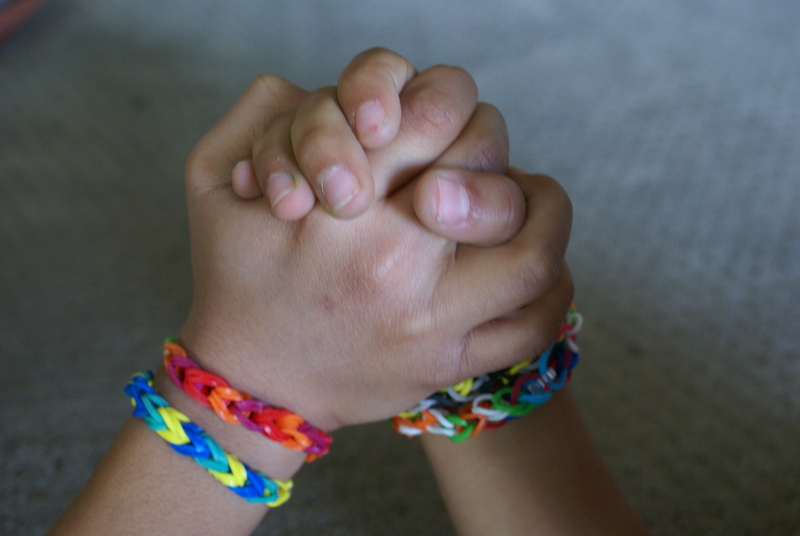 My little one had once adorned himself with bracelets all the way up to his elbows as if dressed for a tribal rite of passage. Then came the necklaces, not as popular but still demanded some interest…and then there was the trading at school…the inspiration for more rubber band endeavors. In fact, that’s how it all started. 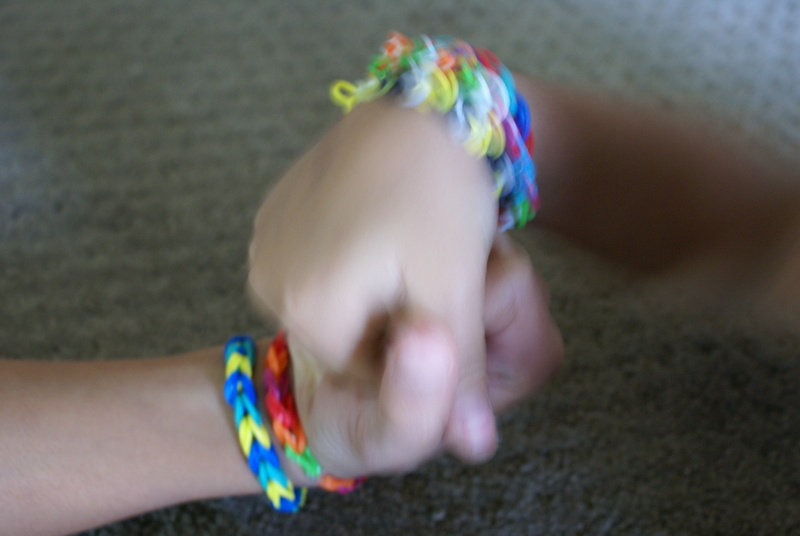 It only took one child that sported a multi-chromatic, proudly-made-at-home bracelet and the epidemic grew exponentially to the point where I believe almost everyone had some kind of a starter kit within weeks. (Wish I had thought of this little invention.) I’m not a fan of the prime material, rubber. The bands will all end up in a massive heap in the landfill one day never to decompose. 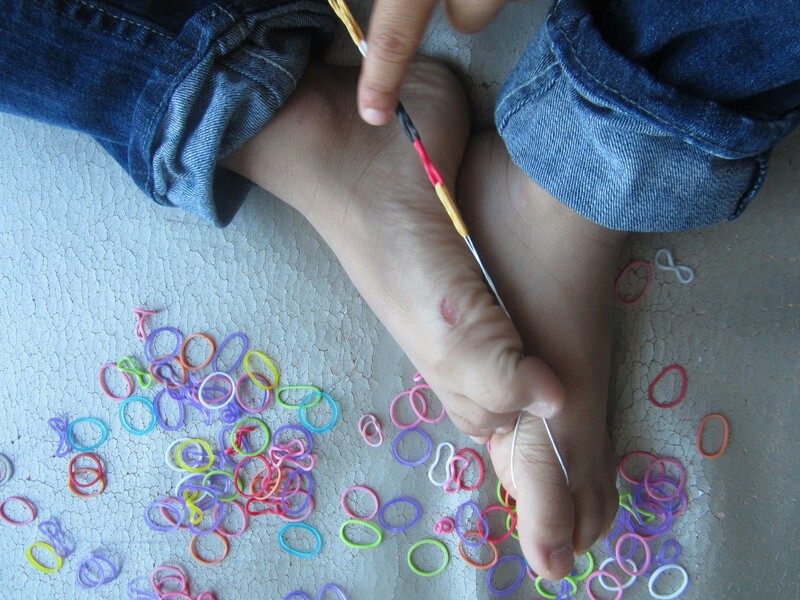 What will we do with all these rubber bands once another fad takes over our nest? In the meantime, our crazy band business is thriving and the youthful proprietors have started customizing bracelets by request. They are both over wearing them, but still enjoy making them! 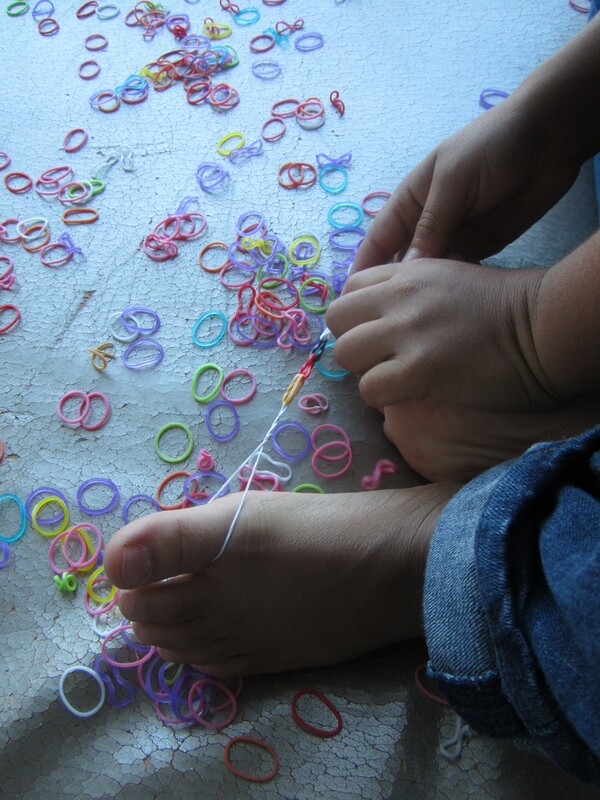 Beware of the loom—coming to your nest soon!